According to statistics in fire accident from 2007 to 2016 in Thailand by Thai News Agency, there were more than 1,500 fire accidents per annual. In which, around 100 fire accidents occurred in large properties such as high rises and department stores in the past 10 years and resulted in devastating of one thousand billion Baht. Fire is an accident that can occur in any circumstance that has fuel as a component. 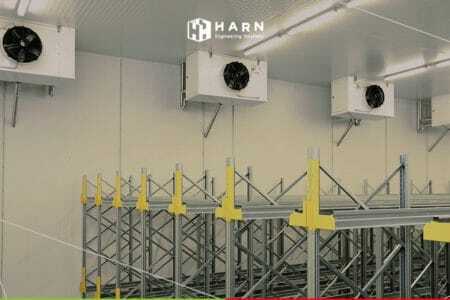 Especially in offices, factories, department stores are fully loaded with fuel in both construction structure and storage rooms which are good sources of fire. Flames and ignition can start from several aspects such as malfunction or damage of the electronic devices or short circuit including negligence of users and residents. All cause flames to catch with fuel and a start of fire accident which would cause great damage to buildings, assets and lives. 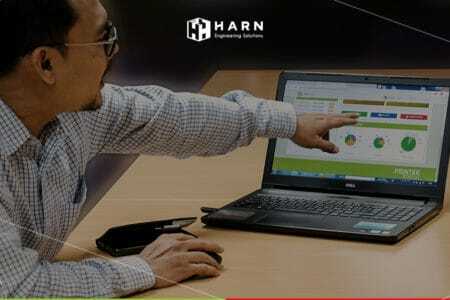 In this article, business owners and others that involve in building management would see the importance of educating residents and office workers on a topic of a fire accident in order to reduce damage to assets and lives. What is a fire drill seminar? In severe fire accident, many would be panic and unable to control the situation especially once occur in high rises or large areas. Those who trapped inside buildings usually be harmed by inhaling smoke and fainted on the scene or unable to escape because they may not be aware of fire exits. “Knowing how to survive is crucial” – a Thai saying. 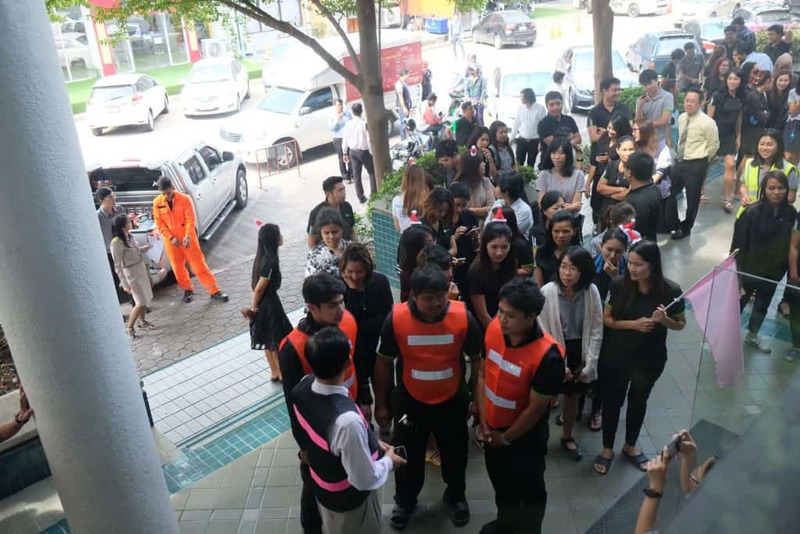 Fire drill objective is to teach everyone on how to survive and getting the least impact from the fire accident when happen to be in offices, factories, and department stores. 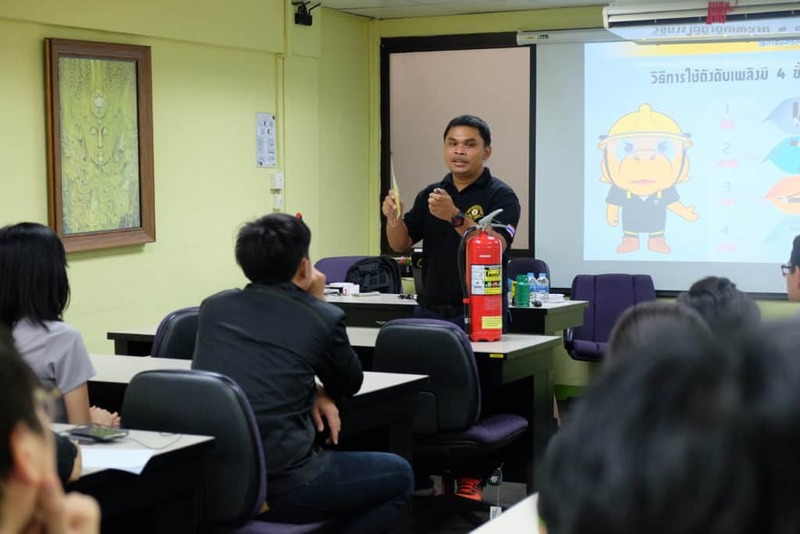 Data from Thai Health Promotion Foundation shows that fire accidents in Bangkok residence areas has decreased by 25% in 2018 but it is not good enough, therefore, there are educational publicity on how to prevent fire accidents by giving out information and including fire drill. In understanding building structure that one stand in would be beneficial in unforeseen circumstances and able to get to the nearest fire exits immediately. 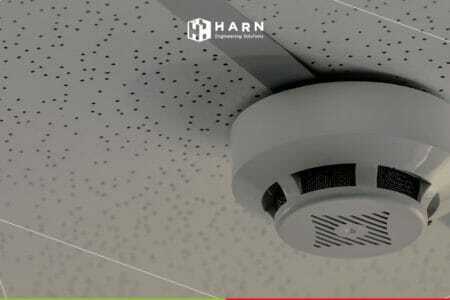 One would be able to differentiate the fire alarm sound and smoke detector alarm which may caused by a user who smoked in prohibited area and provoked the smoke detector. When should a fire drill seminar take place? 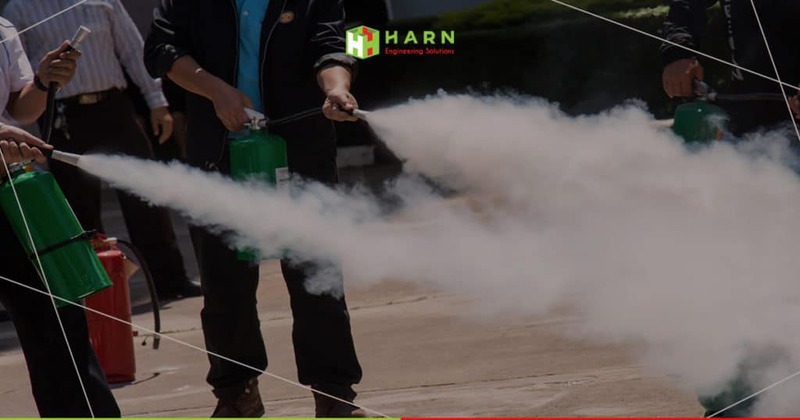 For an entity that has more than 10 employees or buildings that has many operations together, there should be at least one fire drill per year so that everyone is aware of how to prevent fire accident and able to perform in unforeseen circumstances. Moreover, in case the building interior or structure has changed and affected original fire exits and fire evacuation plan, building owner or management need to revisit fire drill seminar and are responsible to inform all parties accordingly in order to keep up to date information and knowing blueprint as well as to alter fire evacuation plan if necessary. Fire accident that occurs in buildings can expand by contacting with fuel sources inside and by contacting with some building structure that is flammable such as wood and plastics. 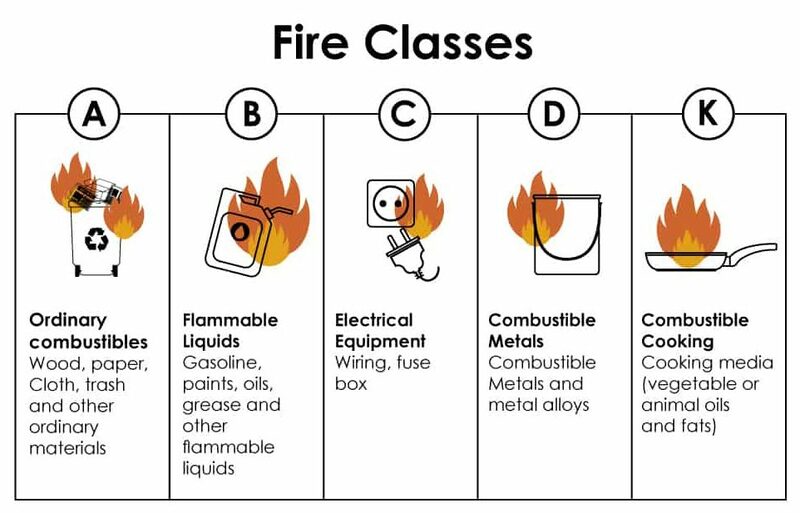 Attendees must be educated on which types of materials that should not be kept inside buildings in order to reduce the risk of having fire accident. All 5 types of fire are able to be distinguished in different ways. The seminar should inform attendees proper ways of how to in accordance to fuel sources. In evaluating fire accident, psychology aspects are taken into evaluation. For those inexperience in evaluating fire accident, it is common to panic in reality, resulting in unable to control oneself neither help with the fire accident nor to help others to evacuate at instant. After the seminar, it is expected that attendees should be able to cope with the accident and stay calm during evacuation in case of fire including once encounter fire accident, one should be able to warn and help others to primarily put off the fire immediately. After evaluated the situation and found that the fire alarm is true, evacuation must be taken place according to plan. Because in evacuating the crowd from a building, chaos occurs inevitably. Moreover, physical injury always the case from crashing with others or harmful from smoke when inhale can cause unconsciousness. Therefore, fire drill must be taken place so that everyone follow the plans and able to evacuate from buildings safely. Understand how automatic fire prevention system in buildings work and when in order to prevent risks and mistakenly created false alarm. Using fire host which stored inside a fire cabinet and also how it works with sign language on how to open-close the valve as it needs to work as a team. Practice fire drill and put off fire caused by common fuel and gas by using handheld fire extinguisher correctly. Also, aware of the location and amount of handheld fire extinguishers. Building owners or personnel involves in safety and security of buildings should prepare fire drill and seminar at least once a year to all employees in buildings and premises so that they are aware of risks in case of fire accident. Also, they should be well trained on primarily control the fire accident and eventually evacuate safely. If you are planning to install fire & safety prevention system for your premises, please contact us here. We have experts to serve you.